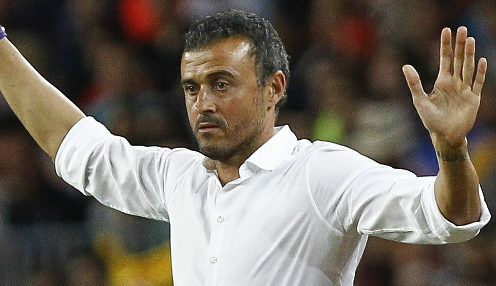 Former Barcelona and Roma head coach Luis Enrique has agreed a two-year contract to become the new man in charge of the Spain national team. The 48-year-old former La Roja midfielder takes charge as the full-time successor to Julen Lopetegui, who was sacked just days before the finals of World Cup 2018 got under way in Russia. Fernando Hierro took charge for the tournament itself, in which Spain failed to impress as they were eliminated by hosts Russia in the first knockout round. However, Hierro has now severed all ties with the Spanish Football Federation (RFEF), with Enrique left to take charge and start the planning for the 2020 European Championships. RFEF president Luis Rubiales: "It has been approved unanimously by the RFEF's executive committee the appointment of Luis Enrique as national team coach for the next two years. "There was total agreement. He's had bigger offers, but he wanted to be national team coach and I want to highlight the sacrifice he has made. "We didn't speak to anyone else, we only spoke to Luis Enrique. He was our first choice, he fits in perfectly with what we want - an undeniable leader in the dressing room, who sets a pattern and that no-one deviates from." Spain can be backed at 11/2 to triumph at Euro 2020, with France available at 10/3 and reigning champions Portugal 20/1. La Furia Roja were crowned champions of Europe in both 2008 and 2012, while they also won the 2010 World Cup in South Africa.